1.Multifunction high-speed computer stripping machine is a high speed line material factory size cut ends of stripping, stripping a single-ended and semi-automatic Wire Cutting Stripping Machine. 2. 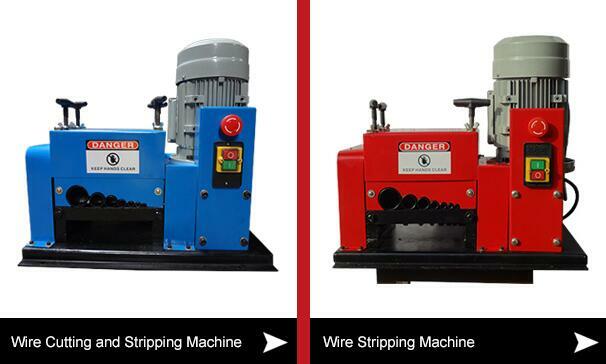 Use servo motor control wire cutting, stripping and other movements more precise cutting length. 3. The length of the conversion and the whole stripping, semi-stripping mode setting using the buttons, simple and fast. 4. Stripping length charge and transform rotary cutter depth using the trimming mode, simple and fast. 5. The speed can be divided into five sections, the wire can be based on the specifications set so thick, thin can stabilize production. 6. Each inspection standard atmospheric pressure is low, the cylinder locking motor abnormalities consistent counting and other functions, can automatically shut down abnormal and detection Show on man-machine interface, convenient and rapid troubleshooting to minimize downtime. 7. The best characterized as a technical adjustment, less pressure line, adjust the time is short, simple and easy to operate. 8. Can be used with sub-line machine, complete sub-line cable, the cut line and stripping operation, improve production efficiency. 9. The machining 600mm long can pull 50 times per minute, more than four times the 2 desktop a stripping machine.